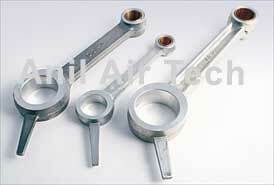 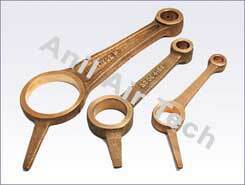 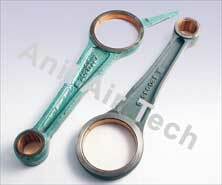 Connecting rods are available in MOC of Aluminium, Leaded bronze, SG Iron& Forging. 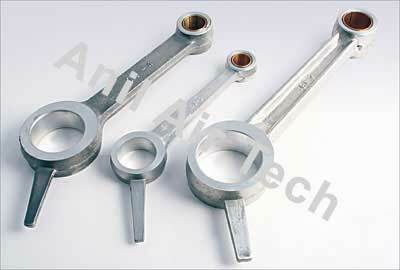 All the Connecting rods are machined on both the sides. Centre distance between big end & small end is maintained for perfect straightness & perfect boring of big end & small end. Big end & small end of connecting rods are perfectly bored so as to match original clearances with steel bush for Air cooled unit & aluminium / Bronze floating bushes for water cooled unit. 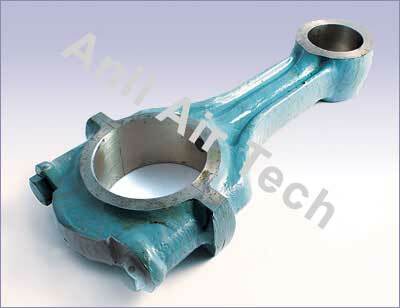 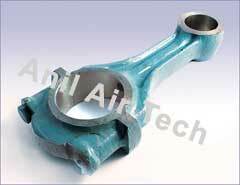 The above Connecting Rods are available ex-stock & ready for shipment in case of urgency. 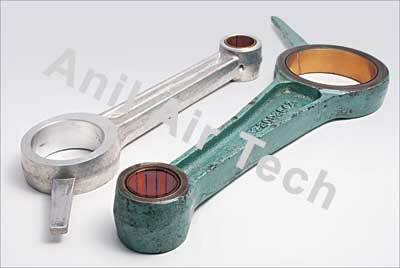 The forged connecting rods are drilled internally perfect to maintain lubrication & oil pressure of unit.